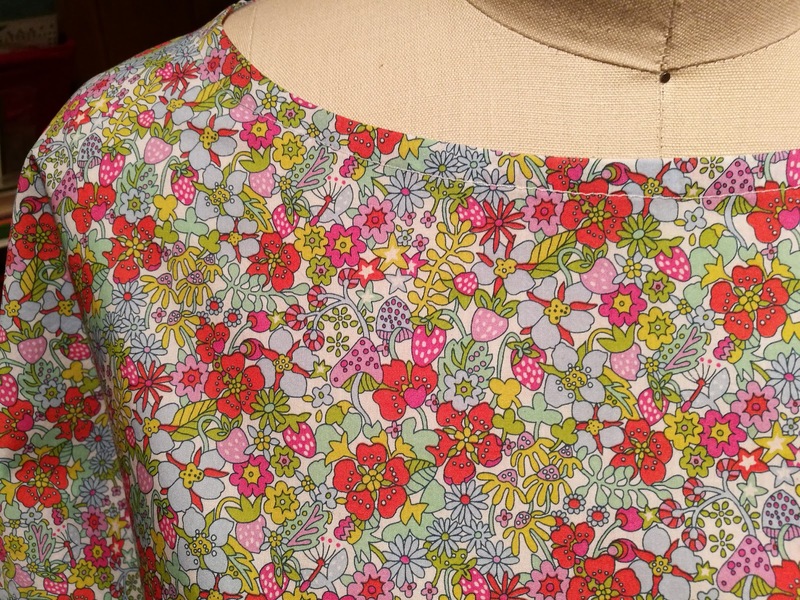 I bought this Liberty fabric, Flower Tops, while I was in London at the end of January. 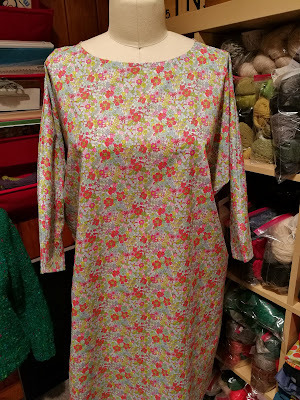 I decided to make another Fog Linen Work dress, the same one as in my previous post, since I knew it would only take an afternoon to complete. 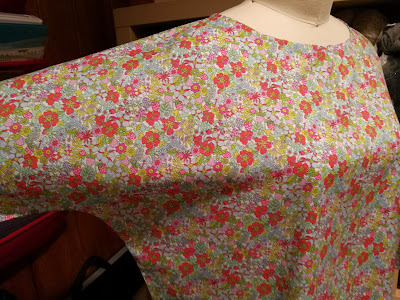 I made some minor modifications: no pockets, shorter tunic length and no cuffs on the sleeves. Love the strawberries and mushrooms in the print!